The HCG Diet made easy with our FREE meal planning... see our sample menus for Phase 2 of the HCG Diet! To help you be successful on the HCG Diet we've created two weeks’ worth of HCG Diet sample menus. During Phase 2 you are only allowed a small number of foods, which can get boring. Hopefully, we can show you how to make the diet delicious and fun! The 'Budget' Sample Menu: For this you will need: Fresh foods from the grocery store, 1 box of grissini breadsticks, 2 bottles of Simple Girl salad dressing, and 1 box of stevia powdered packets. The 'Spruced Up' Sample Menu: For this you will need: Fresh foods from the grocery store, 1 box of Grissini Breadsticks, stevia powdered packets. 2 or more bottles of flavored liquid stevia, 2 bottles of Simple Girl salad dressing, 1 bottle of Simple Girl Carolina Kick BBQ sauce, 1 bottle of Simple Girl Southern Blend BBQ sauce and 2 or more Simple Girl Seasonings or Gourmet Seasoning Pack which contains 4 different seasonings for one low price. Once you've gathered your food and supplies, it's time to get cooking... literally! Remember, these are just ideas for HCG Phase 2 meals. You do not have to follow this sample menu day by day, it's just an example. Feel free to mix these sample menus with HCG recipes you've seen and any random combination of the allowed foods you can think of! Enjoy! Snack – “Apple Pie Crumble” See the recipe here. Snack – 1 grissini stick and a glass of diet safe lemonade. See the recipe here. Thanks for reading! Feel free to mix and match meals from both HCG Diet sample foods plans, just make sure not to go over the allotted foods of the day (2 fruit servings, 2 protein servings, 2 veggie serving, and 2 'carb' serving. For even more HCG Diet meal ideas look at our extensive list of HCG Diet Phase 2 recipes, click here. Bon appetit'! Don't forget to buy all the items you need for the HCG Diet. 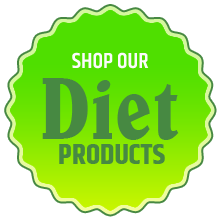 It's helpful to view our HCG Diet shopping list to make sure you don't forget anything. Click here.